If you live in Manhattan you know that disposing of mattresses in NYC is no easy task. Not only do have to seal any mattress you want to dispose of in a plastic bag to prevent the spread of bed bugs in the city, but if your mattress is larger than 4 feet by 3 feet you need to schedule an appointment to have a mattress picked up. Of course like any city run business the trash business has days they won't pick up those mattresses so you may not always be able to dispose of those mattresses when you want or need to get rid of them. So what do you do if you want to get rid of that mattress or several mattresses immediately, and not wait for your removal to be scheduled? Call a professional junk company! When you call Flat Rate Junk Removal to dispose of those old mattresses we make everything simple and easy for you. Just give us a call and make an appointment for when you want your mattresses pick up by our company. Our two man crew will arrive at your home at the appointed time and have you point out what mattresses you want disposed of and they will take it from there. They will properly bag up your old mattresses and load them onto their truck and take them away to be disposed of. 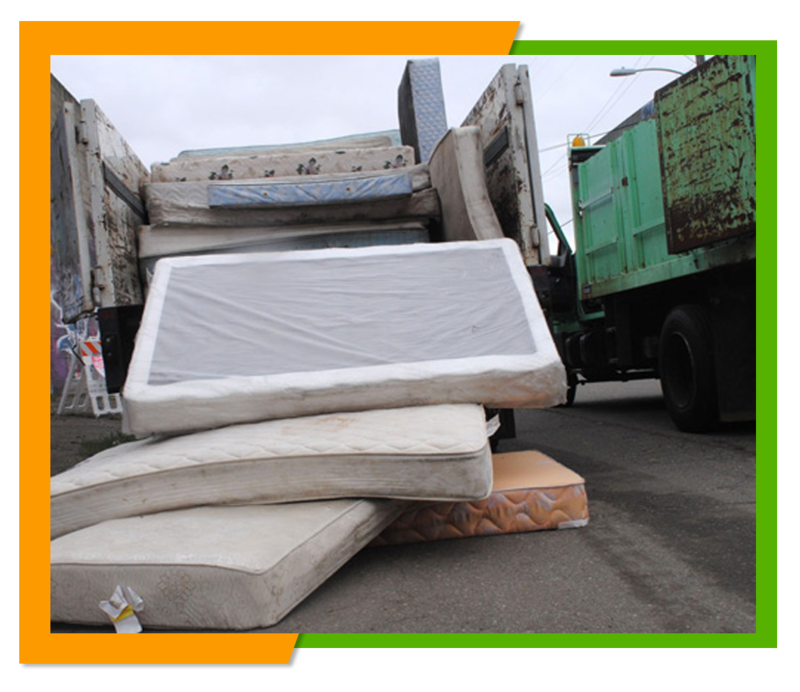 You won't have to have your mattresses removed on anyone else’s schedule and you won't have to worry about paying fines for improper disposal, we take all of the worry out of getting rid of those old mattresses. If you have old box springs that you need to dispose of at the same time, we can properly dispose of those as well saving you both time and effort. Here at Flat Rate Junk Removal you never have to worry about hidden costs of shifting prices, we charge one flat rate fee so you know up front exactly what it will cost you to have those mattresses and box springs removed. We also do mixed loads so you have any other items or junk you are looking to dispose of we can take it all in one load, freeing up space in your home for those more important items that are still useful to you. To get some idea of our rates you can look at our pricing page right here on this website at www.flatrate-junkremoval.com or give us a call and speak to our representative who will more than happy to answer any questions you might have. You can also learn more about our other junk removal services we offer by checking out our service page. 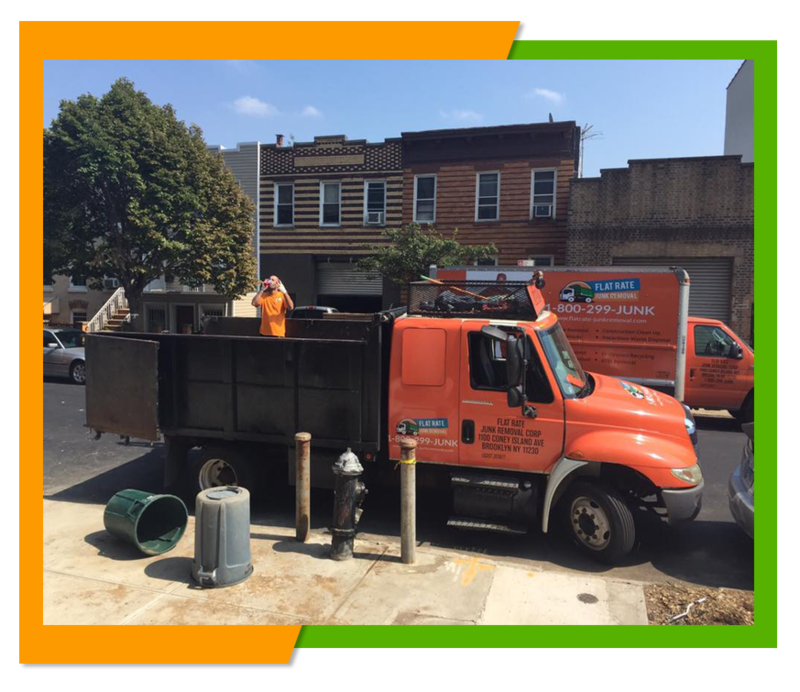 If you wish a free estimate for your junk removal or want to schedule a mattresses disposal appointment, then you can give us a call at 1-800-299-5865 and we will be more than happy to be of service to you.